One of the most popular solar companies in China is Innovalight. The company -- which has developed a solar ink that boosts the performance of crystalline silicon solar cells -- has signed a deal to sell its pixie dust to JinkoSolar. That move will lead to monocrystalline solar cells coming out of JinkoSolar's factories in the first half of 2011 with an 18.6 percent efficiency. This is the fourth deal for Innovalight: it already has deals with Yingli Green Energy, Solarfun and JA Solar. All of these companies are Chinese. Technically, Solarfun is owned by a South Korean conglomerate now, but it emerged in China and that's where the bulk of its manufacturing remains. What's going on? 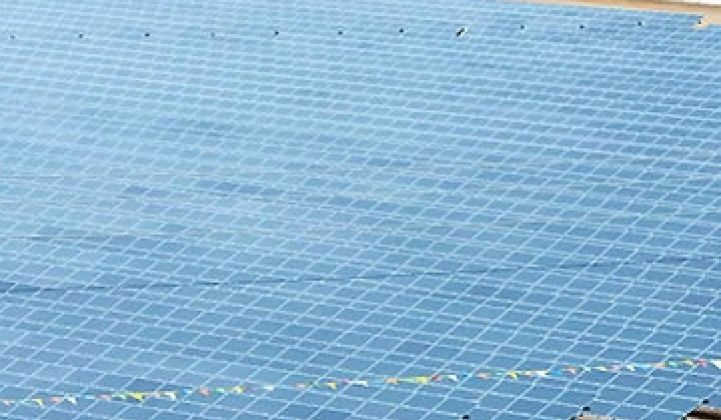 Chinese solar developers understand low-cost manufacturing and have the capital to build factories. Unfortunately, many don't have the sort of depth in R&D that established players like SunPower and Suntech have. On the other end of the spectrum, Innovalight has great science, but not a ton of money. Back in 2008, right before the crash, the company decided to shift tactics. Rather than build a factory to produce panels, it decided it would just sell ink and license intellectual property. Put the two together and you get cheaper, more efficient solar cells and a way for U.S. companies to (maybe) compete in a low-cost manufacturing world. 1366 Technologies is taking a similar path. The open question is whether manufacturing light/intellectual property companies like 1366 and Innovalight can provide the sort of job growth that the U.S. needs or once saw with the IT revolution. The odds are against it, frankly. Chinese companies are very skeptical about licensing intellectual property. Meanwhile, western companies are afraid of piracy. Innovalight gets around this by making the ink themselves. The Chinese companies get a tangible product for their money (although most of the fees are really for intellectual property) and Innovalight delivers its tech in a way that's tougher to unravel. "The BLM is at a critical juncture -- the agency currently doesn’t have a solar program and given that they own lands with some of the worlds’ best solar resources, they need one, and quick. With the PEIS the BLM has a terrific opportunity to build that program from the ground up and to make sure that solar development on our public lands is done right from the start -- solar projects developed with careful planning up front, located in appropriate places that avoid sensitive wildlife areas and other vital natural resources, and configured in the least environmentally harmful ways." --Energy Secretary Steve Chu and Interior Secretary Ken Salazar made the announcement. Chu often wears a hard hat at public appearances. Salazar wears a cowboy hat. If they can get a cop and a Native American chief, the administration could form its own Village People tribute act. Just a thought. --Solar Reserve received the go-ahead from the California Energy Commission to build a 150-megawatt power tower plant near Blythe. Loans, grants and other legal/administrative issues await the company, but it's an important step. Like BrightSource Energy, Solar Reserve uses independent mirrors to focus the heat of the sun onto a liquid-filled tank. The heat then gets used to create steam and power a turbine. The difference is that the liquid in Solar Reserve's case is molten salt. Salt retains heat better than water or other liquids used by solar thermal plants and, arguably, makes energy storage easier. The challenges: salt can clump and it takes more energy to circulate it through the pipes. It's an interesting idea, however, and Tyco and others are experimenting with it. --More bad news for Tessera Solar and Stirling Energy Systems. The U.S. District Court in Southern California has slapped an injunction on its Imperial Valley project, a setback for the company in a lawsuit filed by the Quechan Tribe. Stirling and Tessera want to build solar thermal power parks that generate power with Stirling engines. The companies have two projects that could produce 1.3 gigawatts when complete. They even have power purchase agreements with major utilities. Unfortunately, they also have headaches. Earlier this month, Stirling's CEO and other executives departed and layoffs began. The Irish parent company of both of them (NTR) also said it was suspending further work on both projects. The companies also can't yet qualify for federal grants and need money to proceed. Chances are, the companies will sell the projects. The Imperial Valley injunction, however, might have just reduced the price of that project. In any event, a likely buyer could be NRG Solar, the solar subsidiary of NRG Energy. The company has already bought one solar thermal project and converted it into a solar PV farm. First Solar also bought a listing solar thermal project but yesterday sold one of its one projects to NRG.